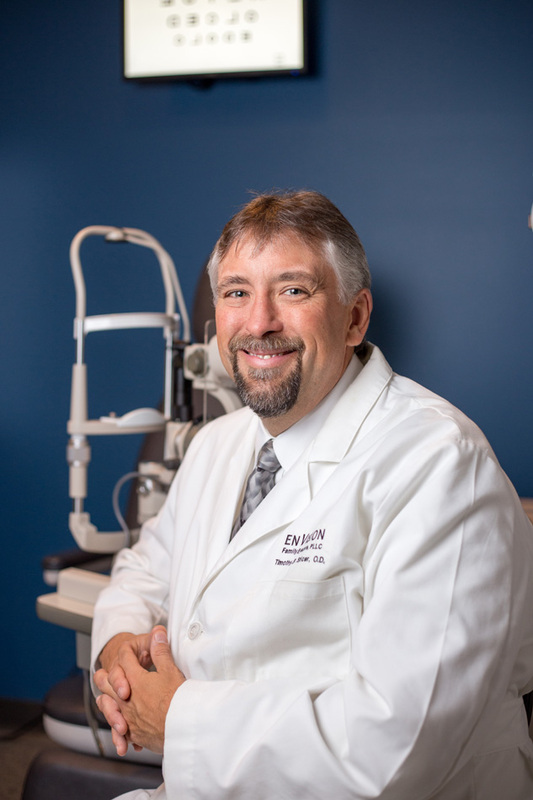 Meet the experienced and friendly doctors who make Envision Family Eyecare, PLLC the leading provider of vision care products and services in Maryville. Dr. Gary Vines grew up in Jonesborough, TN. He received a Bachelor of Science degree in physics from University of Alabama in Huntsville in 1994 and his Doctor of Optometry degree from the University of Alabama at Birmingham School of Optometry in 1998. Dr.Vines joined Dr. Clinton Maples in practice in 1998 and practiced as partners until 2013. 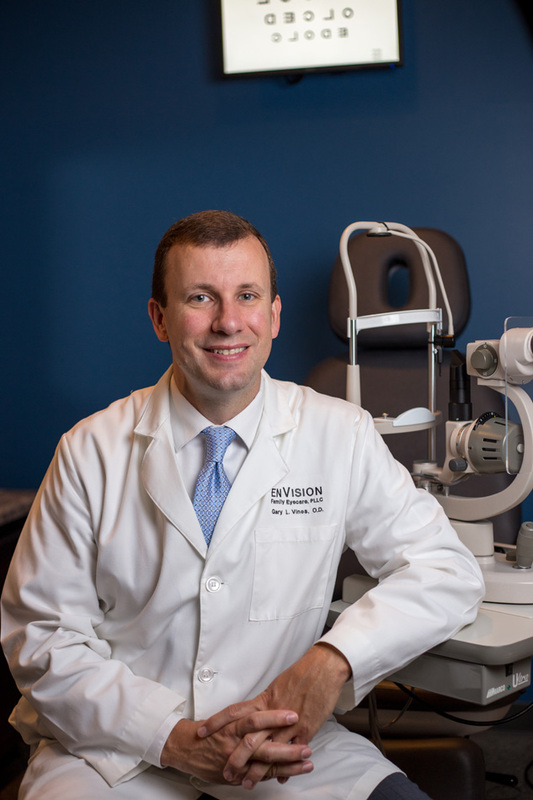 Dr. Vines formed Envision Family Eyecare with Dr. Timothy Spicer in 2014. He is a member of the American Optometric Association, Tennessee Association of Optometric Physicians, and East Tennessee Society of Optometric (ETSOP). He is the past president, vice-president and secretary of ETSOP. He enjoys spending time with his wife Christy, daughter Melanie, and son Colby. He enjoys bicycling in his spare time. Dr. Timothy Spicer graduated from Southern College of Optometry in 1993 and then moved to East Tennessee. He practiced in a large ophthalmology group for 20 years before forming Envision Family Eyecare with Dr. Gary Vines in 2014. He is a member of the American Optometric Association and the Tennessee Association of Optometric Physicians. He is involved in the community with the Blount County Education Foundation. He is also the optometrist for the Knoxville Ice Bears and Maryville College. He enjoys spending time with his wife Constance, and children Lauren, Hunter, and Alexis. He enjoys trout fishing, running, and watching his children play sports.